Molds made by today’s molding machines have high compression strength exceeding 2kg/cm2 (50fx50H TP) , and hence certain countermeasures are necessary to prevent casting defects caused by gas formed by combustion of organic materials in shell mold cores and other mold parts. Compactability test is a useful tool for quality control of mulled sand with appropriate density and fluidity for the above purpose. Simple and portable mold hardness tester for easy on- floor-testing. Density of self-hardened molds can be adjusted from the test results. Great contribution to high quality products. 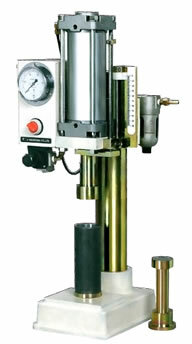 A limiter is provided for setting an allowance range of hardness. A red hand is provided to indicate the maximum measurement. This device is a tester to measure strength (compressive strength; kg/cm2) of finished green sand mold on site. It can easily measure strength not only on flat surfaces of mold but also narrow part of side surfaces. Of course, the device measures the standard sample piece of 50xH50 rammed with a sand rammer. Furthermore, understanding actual strength of finished mold at field makes you select the best molding parameters such as squeezing pressure, jolting time and so on. Capable of either wireless measurement or cabled measurement. Measurement results with this hardness tester can be used to adjust sand mold densities and improve casting conditions for higher product quality. This hardness tester is equipped with limiters to define the tolerances and a stay-in-place (red) needle to indicate the maximum values. The scale is divided into colored zones for easy reading. 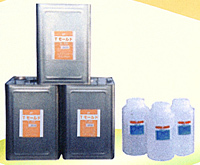 Prevent water evaporation of foundry sand. This apparatus is for quick and precise measurement of permeability of green sand mold, dry sand mold, and other sand molds following the standard set by the molding sand research committee of Japan Foundrymen's Society (NIK). 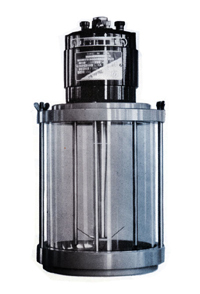 An air supply tube stands vertically upwards at the center of a water tank bottom. This is for measuring various types of strength of molding sand and related materials: compression and shear strength of green sand, baked sand, and core binders, tensile strength of core, and others. It has a precision of highest level and yet easy to use and sturdy. 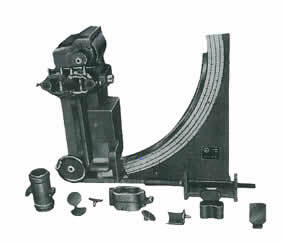 The tester consists of (A) bed plate, (B) swing weight, (C) measure grade, (D) press arm, (E) handle, and (F) magnetic iron piece, level gauge, and several other parts. 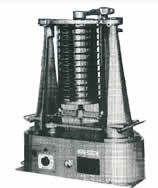 This apparatus is for preparing specimens for permeability test and strength test following the standard set by the molding sand research committee of Japan Foundrymen's Society (NIK). It consists of a base, a weight, a ramming rod, and a crank. The crank lifts up the weight before dropping it. The dropped weight hits down the ramming rod which slides in a sand cylinder fixed to the base. The sand in the cylinder is rammed to a specified dimension with a constant energy. This is a sand grain classification tester designed in accordance with the standard set by the molding sand technical committee of Japan Foundrymen's Society (NIK). The most reliable test can be done in the shortest time with this apparatus. 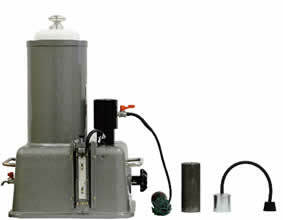 This is an instrument for washing molding sand as a preparation for measurement of clay and sand content. 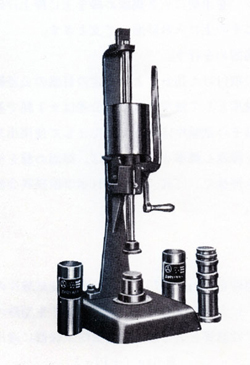 of a 1/20 HP single phase motor (600 to 3000 RPM by a variable continuous transmission, VCT), a blade shaft, a beaker, a siphon, and a timer.